A 1972-S copper-clad aluminum Lincoln cent? Mike K. writes: I am trying to find out any information I can about a penny that I have. It is a 1972S penny. It is worn in the high spots and show a silver metallic coloring. I have asked local coin dealers about it and they think it is a copper clad aluminum penny. I ran elemental analysis (X-ray Fluorescence) on the penny an got some unusual results. 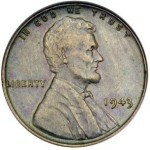 The analysis showed that the penny is clad in copper and nickel with the silver colored portion identified as niobium. I am extremely interested in any information you can provide me with about this penny. Thank you for time and effort. Lincoln cents from 1962-1982 were struck on planchets whose composition was .950 copper, .050 tin. None of the strip from which the planchets (blanks) were cut had another composition nor were copper plated zinc cents struck until 1982. You can prove this simply by weighing the coin. Copper cents weigh 3.11 grams. Any deviation from this would indicate another composition. 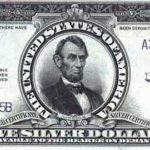 There was an experimental run of aluminum cents dated 1974 as a proposal to replace the escalating price of copper in the cent but the idea or the law authorizing aluminum cents didn’t exist until far into 1973. All but 12 of the aluminum cents were destroyed. The extant pieces were probably held by congressmen who were given samples but refused to return them. It is questionable whether the 1974 pieces are legal to own. 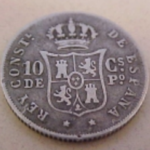 Advertisers often plate coins or treat them chemically to make them look different. The coins are then used in some promotion. Gold plated or silver plated cents are often seen. I suspect that some of the supply of these altered coins might have been victims of high school chemistry experiments. 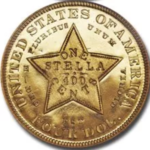 There are also examples of U.S. coins accidentally struck on scrap metal, not coinage blanks. These coin are usually not complete and possibly other shapes than round. These will not weigh 3.11 grams. If you wish, you can have your coin authenticated by any of the 3rd party grading services. 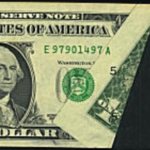 To learn how to do this, see the CoinSite Links page for the Web sites of NGC, PCGS or ANACS. AH1372 Morocco commemorative gold medalWhat's the difference between the Red Book and the Blue Book?